Southern California Edison has been the region’s dominant electric utility for more than a century. But for nearly 1 million homes across the Southland, the days of Edison’s monopoly are ending. Clean Power Alliance is becoming the default energy provider this month for residents of 29 cities, as well as unincorporated parts of Los Angeles and Ventura counties. The government-run power agency launched for a small group of customers last year and will continue its rollout in May, when it expands service to 100,000 businesses. If Clean Power Alliance is your new power company, you should have received notices in the mail by now. But you probably still have plenty of questions. Here’s everything you need to know about the switch, including what it means for your electricity rates and why Edison isn’t going away entirely. How do I know if Clean Power Alliance will be my new energy provider? If you live in one of these cities, you’ll be switched to Clean Power Alliance service by the end of February: Agoura Hills, Alhambra, Arcadia, Beverly Hills, Calabasas, Camarillo, Carson, Claremont, Culver City, Downey, Hawaiian Gardens, Hawthorne, Malibu, Manhattan Beach, Moorpark, Ojai, Oxnard, Paramount, Redondo Beach, Rolling Hills Estates, Santa Monica, Sierra Madre, Simi Valley, South Pasadena, Temple City, Thousand Oaks, Ventura, West Hollywood and Whittier. The February switch also applies to residents of unincorporated Los Angeles and Ventura counties. Westlake Village residents are on track to start receiving service from Clean Power Alliance in 2020. Residents of cities with their own municipal power departments, such as Los Angeles, Burbank and Glendale, will stick with their city-run energy provider. Can I sign up for Clean Power Alliance if I’m an Edison customer living somewhere else? Why is this happening? Do I need to do anything? You don’t need to do anything. Your electricity service will continue uninterrupted after you’re switched from Edison to Clean Power Alliance, which will happen automatically after your regularly scheduled meter reading in February. This is happening because the 29 cities and two counties got together and created a community choice aggregator, or CCA. Forming a CCA allows local governments to decide what kinds of power to buy for their communities, how much to charge and what incentives to provide for going solar or reducing energy use. California had 19 CCAs serving more than 8 million customers last year, but Clean Power Alliance will be the biggest one yet. Elsewhere in Southern California, local governments are making plans to form CCAs in Riverside County and San Diego, where Mayor Kevin Faulconer recently endorsed calls for community choice. Am I going to pay more for electricity? It depends what you want from Clean Power Alliance. The CCA offers three rate plans to its customers: One with a 36% renewable energy mix that the alliance says is 1% cheaper than Edison’s base rate, one with 50% renewables that’s on par with Edison, and one with 100% renewables that’s 9% more expensive than Edison. Every city and county in Clean Power Alliance has chosen one of those plans as the default for its residents. Eight cities picked the cheapest option; nine cities, plus Ventura County, opted for the 100% renewables rate. If you don’t like your local government’s choice, you can switch to another rate plan at any time. You can also opt out of Clean Power Alliance and return to Edison. Of the roughly 960,000 homes and businesses that will be eligible for Clean Power Alliance by the end of February, just 14,000, or less than 1.5%, have opted out. So who’s setting my electricity rate now? And what will they do with my money? Rates are set by Clean Power Alliance’s 31-member board of directors, with one representative from each city and county. The board is chaired by Diana Mahmud, a South Pasadena City Council member. Its monthly meetings are open to the public. Clean Power Alliance has big plans for cleaning up the region’s energy supply, said Ted Bardacke, the alliance’s executive director and a former infrastructure director for L.A. Mayor Eric Garcetti. Over time, that could mean incentives for customers to install electric water heaters or space heaters, reducing the need to burn natural gas in homes and other buildings. It could mean free or discounted electric vehicle chargers, or special electricity rates that encourage people to charge their EVs at home. It also could mean community battery installations that reduce the need for polluting, gas-fired “peaker” power plants. “We’re very interested in projects that not only reduce greenhouse gas emissions but also reduce local air pollution, and that leads you to also improve public health,” Bardacke said. Can I still put solar panels on my roof? Yes. Clean Power Alliance offers a net metering rate plan for solar-powered homes and businesses just as Edison does, but with slightly more favorable terms. Does community choice have any drawbacks? So far, most CCAs seem to be living up to their promises of cleaner energy, lower rate options and local decision-making. But it’s yet to be seen how they’ll fare over the long term. Some renewable energy companies are worried the CCAs won’t be able to buy enough clean power over the next few years to meet the state’s climate change goals. The CCAs dispute that premise, saying they’re buying plenty of solar and wind energy. Michael Picker, president of the California Public Utilities Commission, has also warned that the shift from monopoly utilities to more decentralized decision-making could have dangerous unintended consequences, such as a repeat of the state’s early-2000s energy crisis. The CCAs say that concern is hugely overblown.They point out that the state’s first community choice provider, Marin Clean Energy, launched in 2010, followed by Sonoma Clean Power in 2014 and Lancaster Choice Energy in 2015, and so far there have been no crises. But 16 more CCAs have started serving customers in the last three years, and it’s hard to predict how things will shake out — especially as California’s energy sector is also reshaped by other forces, including a mandate of 100% clean power by 2045 and the bankruptcy filing of the state’s biggest utility, Pacific Gas & Electric. Does community choice mean Edison is going away? No. Edison will still be responsible for operating the poles and wires of the electric grid, and Clean Power Alliance customers will still pay the investor-owned utility for those services. Edison will still send out everyone’s bills too. Clean Power Alliance customers will also see a new item on their bills: the “Power Charge Indifference Adjustment,” more commonly known as the exit fee. As the name suggests, it’s an additional monthly charge that CCA customers must pay Edison to cover the costs of long-term contracts signed by the utility years ago to provide electricity to all of its customers. State officials say it’s only fair for CCA customers to keep covering their share of those costs because Edison would otherwise have to increase rates for its remaining customers. There’s an ongoing debate about how to calculate the exit fees, with CCAs arguing the investor-owned utilities are inflating the numbers. The Public Utilities Commission approved an increase in the exit fees last year, although the commission may continue to tweak that decision. So that’s everything I’ll still be paying to Edison, right? Not quite. For the next year, homes served by Clean Power Alliance will also pay an additional $100 million to Edison to help fill a hole in the company’s power budget. Edison said it spent about $815 million more than it expected on electricity in 2018, partly because of a summer heat wave. The utility asked the Public Utilities Commission for permission to charge some of those costs to homes leaving this month for Clean Power Alliance because Edison purchased the electricity on behalf of all its customers, including those now leaving. The Public Utilities Commission approved that request in a 5-0 vote on Tuesday, over the objections of Clean Power Alliance. The community choice provider had said it would have to cut into its financial reserves to offer customers the rate savings it promised, while accounting for the additional $100 million they will now pay. Cliff Rechtschaffen, a member of the Public Utilities Commission, said the additional charge will probably raise electricity prices for Edison and Clean Power Alliance customers by about 5% over the next year. What you need to know about Clean Power Alliance, SoCal’s newest electric company, by Sammy Roth, The Los Angeles Times, February 1, 2019. Every household in Agoura Hills has an exciting new opportunity to make a tangible difference in reducing greenhouse gas emissions and improving air and water quality, all while saving money. Residents have begun to receive mailers announcing the move to a new energy provider called Clean Power Alliance. Starting in February, our city, along with 30 other communities across Los Angeles and Ventura counties, will launch a community choice energy program that will offer cleaner, more renewable power at competitive rates. Simply put, Clean Power Alliance purchases clean power and delivers it to your home via existing Southern California Edison lines. SCE will continue to send one bill and resolve any service issues, as before. Financial assistance programs will remain intact and you’ll still have access to rebates and incentives. You now have choice. Customers will have a menu of energy options to choose from. Lean Power: This is the default rate option for Agoura Hills residents, providing 36 percent renewable content at the lowest possible cost, a 1 to 2 percent savings over SCE’s standard rates. Clean Power: Purchase 50 percent renewable content at either no cost difference or up to a 1 percent savings compared to SCE’s standard rates. 100 percent Green Power: This will cost about 7 to 9 percent more than SCE’s base rates, but will deliver nearly three times the amount of renewables. And, it’s about 5 percent less expensive than SCE’s 100 percent Green rate. Nothing, unless you want to change your default option. Agoura Hills residential customers will be automatically enrolled in Lean Power, but you can easily make your own energy choice or opt out entirely and return to SCE as your energy supplier. Just go to cleanpoweralliance.org or call (888) 585-3788. Business customers will be enrolled in May. Why did Agoura Hills choose 36 percent Lean Power as the default? We anticipate that this service level will allow Agoura Hills residents to realize a cost savings even if SCE raises transmission rates to recoup losses from the California wildfires. That said, we encourage as many residents as possible to opt up to 100 percent Green Power if you can afford the slight increase. It’s an investment in our future. Unsure which rate is best for you? Grab your latest bill and head to the online bill calculator to compare and decide. Whether you enjoy the costs savings, go for 100 percent Green, or find your balance in the middle, it’s your choice. Watch for more mailers coming soon. In the meantime, feel free to reach out or go to cleanpoweralliance.org for more details. Klein Lopez is an Agoura Hills City Councilmember and the city’s board member on the Clean Power Alliance. She can be reached at dlopez@ ci.agoura-hills.ca.us. Alternative energy provider smart way to go, by Klein Lopez, The Acorn, January 17, 2019. By next year, it’s possible a majority of Ventura’s energy consumers will be getting 100 percent of their power from renewable sources, and they will be paying up to 9 percent more. Their bill will continue to come from Southern California Edison but they, some without knowing it, will have become customers of an alternative energy provider. SCE will still transmit the energy, but it will be Clean Power Alliance that procured it. 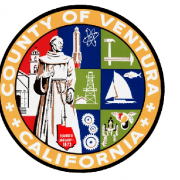 On Monday night, the Ventura City Council voted 7-0 to set the default rate for customers at 100 percent renewable. That means for customers who don’t do anything, the energy they use will be virtually free of greenhouse gas emissions. It also means their rates will go up, unless they request a lower mix to come from renewable energy or to remain exclusively SCE customers. The change is the result of 31 communities joining to form the community choice energy program. Community Choice Aggregation was designed to allow government entities to band together to buy and invest in renewable energy. The goal is local control over energy production, ideally creating jobs in the process, and moving to a fully renewable power stream. When the state legislature in 2002 gave CCAs the authority to form, it made participation automatic in the communities where they formed. Do nothing, and a customer is part of CCA. In Clean Power Alliance’s jurisdiction, policymakers can set the default rate at 36 percent, 50 percent or 100 percent. It’s a savings of up to 2 percent in the lowest tier and a wash at 50 percent, according to the proposed rates, which are based on comparisons of SCE. The actual costs of Monday’s decision will be better known next month, when CPA’s board officially setsthose energy costs. Locally, Ojai is the only other municipality to set it at 100 percent for all its customers. Thousand Oaks chose 50 percent, while Camarillo, Moorpark and Simi Valley went with 36 percent, the cheapest option. Ventura County Supervisors set the rate at 100 percent for businesses and will decide on residential rates on Tuesday. In a tweet, Supervisor Linda Parks said she would be advocating for 100 percent. What elected officials chose in any given jurisdiction isn’t binding for either a city or customers, though there are restrictions. If customers stay with SCE or return to SCE, they will be charged a one-time fee to return to CPA and will need to wait 12 months, for example. A customer can opt for a lower or higher renewable rate than the default, or it can choose to not participate at all and continue receiving transmission and power from SEC. Several speakers on Monday asked the council to choose 100 percent – the staff had recommended 50 percent. Council member Christy Weir, who represents the city on Clean Power Alliance’s board, said the group was helping create a market for renewables, and the bigger the market, the more options for developing clean energy and associated infrastructure. That could translate into jobs, she said. Weir was also assured switching or opting out would be simple and straightforward. A customer can change renewable options online, by email or phone, said Jennifer Ward, Clean Power Alliance’s head of local government affairs. Switching to SCE or from SCE to the aggregator might entail another step. “We’re not forcing anything,” Weir said. Council member Mike Tracy said going to 100 percent made sense provided people understood the change and process. Clean Power Alliance is required under state law to send out at least four mailings alerting them to the change, and city officials said they would do extensive outreach as well. What Ventura’s 100 percent renewable energy rate may cost you, by Ventura County Star Staff, Ventura County Star, October 16, 2018.